Employees are the lifeblood of every construction company. No matter the size of the company, each individual serves a purpose, and their performance either helps or hinders the organization – there's zero middle-ground. Ensure they are making a positive contribution to the company. In this fourth article, we will explore successful incentive plans and strategies that are commonly used with Estimators across the construction industry to help with #3 above. As a business owner, you have the ability to set up compensation and incentive programs that motivate your employees to make positive contributions to the success of your company. While money is not the only motivator, it is typically the ‘biggest’ motivator and the easiest for your employees to recognize. So, we will start with common financial structures of bonus and incentive plans, and later we’ll explore some other ‘fringe’ benefits that can be used to compliment these plans and help drive employee performance. Great Estimators have a blend of traits from other positions: they know how to negotiate pricing like owners, build relationships like business development people, manage subs and vendors like project managers, and build things in their heads like field superintendents. They are the bridge between opportunities and projects. Without great estimating, it can be very hard to grow a business in these competitive times. Most construction company owners started out as estimators in their own companies, as well as being the first project managers and superintendents. Many of them ran projects during the day and estimated at night and on the weekends, always hunting for the next project. Over time they (hopefully) came to understand how to leverage their relationships with clients to win projects without sacrificing profits. While this holds true for both General and Specialty contractors, there is a difference between the activities of estimators at these two different types of companies. 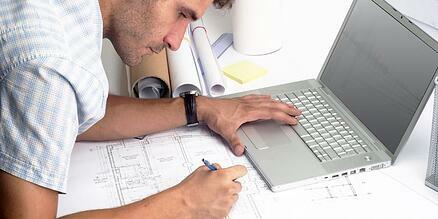 Estimators at General Contractors typically do not perform detailed material takeoffs for all trades and scopes. They may perform takeoffs to assess square-footage of buildings, sections, areas and material types (ex: concrete, flooring, roofing, glass, curbing, etc.). They may also perform counts in order to get direct materials pricing from vendors (ex: bath fixtures, lighting, doors, windows, trusses, etc.). However, the bulk of their estimate will typically be built by leveraging their subcontractor base to solicit pricing for each trade’s scope of work, and then compiling an estimate from each of these subcontractor quotes. The industry standard is to get three (3) quotes from each trade so they can assemble the most competitive estimate and (hopefully) win the project. Estimators at Specialty Contractors typically perform a blend of material take-offs and square-footage calculations to build their pricing. They will often collect quotes from their material vendors to get current pricing for specific materials for the project (ex: tile, fixtures, cabinets, appliances, switchgear, pumps, motors, equipment). They often use a trade-specific estimating software to perform takeoffs, which adds up their material and labor costs to build their pricing and generate their proposals. What Do Positive Results Look Like? Notice that ‘Winning the project’ is not in this list. Simply winning the project is not enough! Why not, you ask? What if there are gaps in pricing? Or guesses? Or undervalued materials? Or insufficient labor hours in the estimate? Any of these could result in a low number which ultimately wins the project, but doesn’t have sufficient funds to actually cover the cost of the work to be performed, resulting in no profit, or worse – a negative job that loses money. Accuracy and completeness are the name of the game in estimating. Once you know the real numbers, then you are in a position to negotiate with a client to win a project. You will know if (and how much) you can cut your number in order to close a deal, without significantly impacting or sacrificing your profitability. Failing to know your real costs is a recipe for disaster. So, what if we could design an incentive plan for Estimators that drives these key results we are trying to generate? 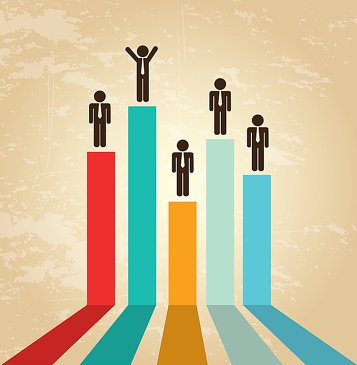 The most common incentive programs for Estimators start with an opportunity-level bonus structure. This system can be used for both General Contractors and Subcontracts alike. Let’s first define the desired estimating process. An opportunity comes in the form of a RFP (Request for Pricing), Bid Solicitation or Open Bid Request (typical of public work projects). It is assigned to an estimator and added to the bid calendar so that the bid due date is identified. The estimator is now responsible for performing any/all takeoffs which should be clearly identified company-wide and know to all. The phrase “we always do takeoffs on (blank)” should come to mind. Next, all takeoffs, quotes and subcontractor proposals must be assembled and organized into a ‘bid folder’ or ‘bid book’. All values must be entered into the contractor’s bid management system (estimating software, spreadsheet, etc.) so that a complete estimate is assembled. This must be completed by the bid due date, so that the Owner/Manager/Salesperson can review and finalize before sending to the client. Now, how do we reward the estimator for meeting all of these goals? This is discretionary and will depend greatly on the type of contractor, value of the project, market sector, geography, etc. A commercial GC who is bidding on a $10MM project will probably reward their estimators differently than an industrial plumbing contractor who is bidding on $50k projects. A small monetary bonus may be sufficient to drive these behaviors for a small contractor/project (ex: $250 each, or 0.5% of bid value), or it could be much higher for large projects that take weeks to assemble. The goal is to promote and reward the desired behaviors and actions. If they meet all of these goals, then you should have high confidence in their estimate and be able to finalize your proposal to your client. Should you successfully win the project, you can then implement a second level to their incentive plan. This could be an additional monetary reward, given as a fixed value, or could be a percentage of the final contract value that is awarded. Either way, these should be tiered or capped at a maximum payout. Accurate and complete pricing that allows for confidence when negotiating and leads to a high probability of being awarded the project. Remember, back at the beginning of this article, we mentioned that there are ‘fringe’ benefits you can offer your Estimators as incentives beyond money? Much like our previous article about Project Managers, here are some of the most common ‘extras’ that can be given to reward Estimators. These rewards can also be used in lieu of the financial bonus for Estimators that successfully assembled complete pricing, but the company was not awarded the project (they were outbid or the project was cancelled). We hope this article provides you with some ideas for your own incentive programs, and shows you how to create a structure that rewards Estimators for both their performance and supporting the goals of the company. We also welcome your feedback and suggestions for other ways you’ve found to incentivize your Estimators! Leave a comment below, or email us with your ideas so we can share with our readers! Part V - coming soon. In our last article on this topic, we will explore incentive programs for Business Development / Sales positions. Stay tuned for more! Written By Adam Cooper, President of Ascent Consulting.